"Country Meadow" Too adds to your background paper choices to use with this Collection. All colour coordinated and patterned....now the hard part...which ones to use! These digital background papers are NOT included in the FQB "Country Meadow" Collection, so please don't miss out! 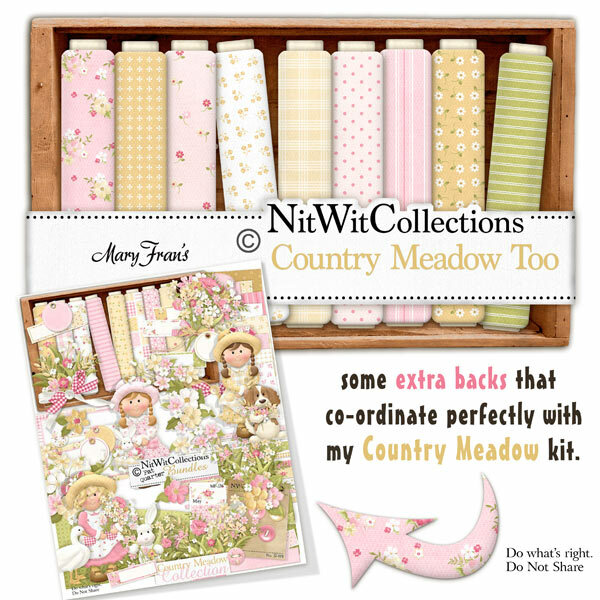 16 digital background papers that coordinate and colour match my "Country Meadow" Collection.